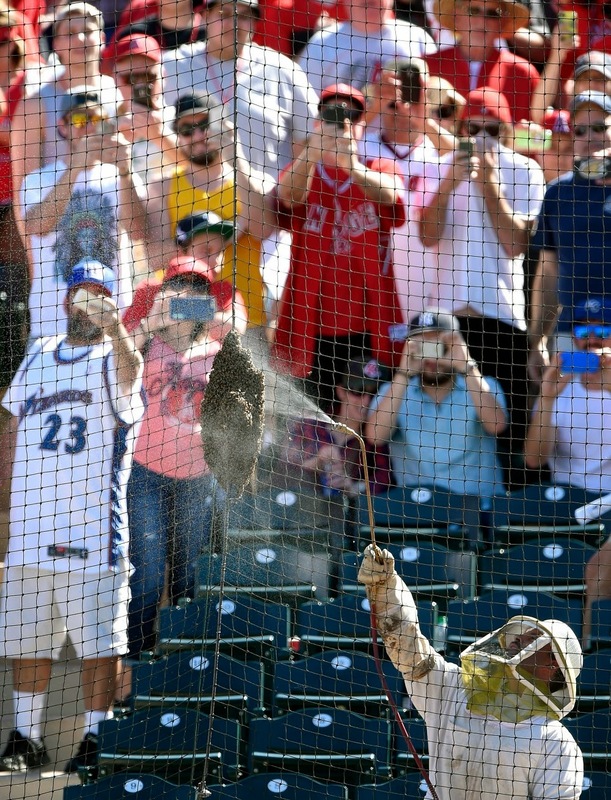 All over the news this weekend was a story about a honey bee swarm during baseball spring training. Notice they bring in a bee keeper to save and relocate the honey bees. He is spraying the bees with a sugar water mix to keep the honey bees calm.